CRIS Realty is made up of a group of Realtors that have proven year in and year out to be the leaders in the Real Estate Industry. "We recently purchased our first house, and couldn’t be happier! Our agent Jake Beechy was very knowledgeable about all the cities we looked in, always on... "
"Bill was the listing agent for my relatives who needed to leave their home of fifty years and move to assisted living. It was a very difficult transition b... "
"Ann is awesome!!!! She was extremely patient and always had our best interest in mind. She is very professional and punctual. We highly recommend Ann!!! " "Jessica has been nothing but wonderful through the buying and selling of our homes. She explained and made sure we understood everything happening in the p... "
"Chris is fabulous!She has been my real estate agent for nearly a decade through various home purchases and sales. She is always responsive, professional, a... "
"Karen was amazing ! We became clients by chance, and she never stopped working for us. Even after the close of our home, Karen was checking up on our purch... "
"Debbie DeGroot helped us sell our home and helped us purchase a new home. She helped us to stage our old home to make it more appealing to potential buyers... "
"Jan was an amazing realtor! She was always available, very well organized, and was able to answer every question we had (which were a lot). I would highly ... "
"Jill is dedicated to her clients in the clearest sense of the word. When I was ready to make a purchase, I gave Jill my list of "must haves" and she found ... "
"I am always impressed with Sharon's professionalism and attention to my family's needs as she has represented us to both sell and purchase homes. All our t... "
CRIS Realty is made up of a group of Realtors that have proven year in and year out to be the leaders in the Real Estate Industry. 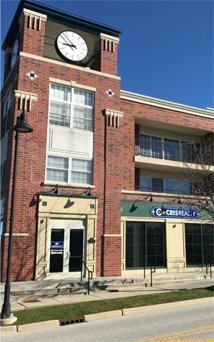 CRIS Realty has been able to consistently attract some of the top agents in the area by offering an attractive sales contract, a generous work space, and a professional atmosphere in a highly visible location. We are a member of the Multiple Listing Service of Northern Illinois which services Chicagoland and surrounding suburbs. Our other professional memberships include Three Rivers Association of Realtors, Main Street Association of Realtors, Illinois Association of Realtors, and National Association of Realtors. CRIS Realty is truly a full service Real Estate company servicing transactions as simple as an apartment lease and as complex as a land acquisition for the local grade school district. We are conveniently located on route 30 in New Lenox, half mile west of Lincoln Way Central High School and our newest Downtown Frankfort location just off Lagrange on Old Frankfort Way. Your satisfaction is the Key to our Success!